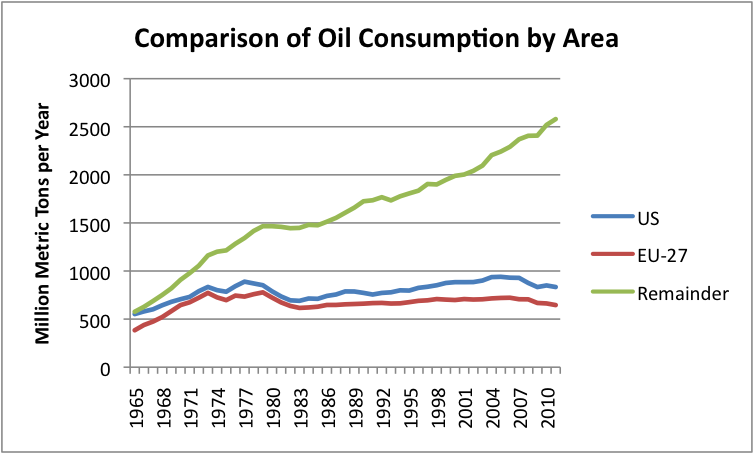 Consuming Oil, a Fossil Fuel. Oil provides 40 to 43 percent of all energy used by the world. Oil and coal each account for 40 percent of global warming emissions from fossil fuels worldwide. Oil was formed millions of years ago. Dead organic material built up on ocean floors, riverbeds and swamps. It mixed with mud and sand. More sediment piled on top. The heat and pressure changed this layer into kerogen. Over time, kerogen breaks up into shorter, lighter molecules and is mostly carbon and hydrogen. If this mixture is liquid, it will turn into crude oil. How is it used to generate electricity? Oil is burned to heat water. This produces stream which pushes against the blades of turbines, causing them to spin. The turbines are connected to a generator, which creates electricity. 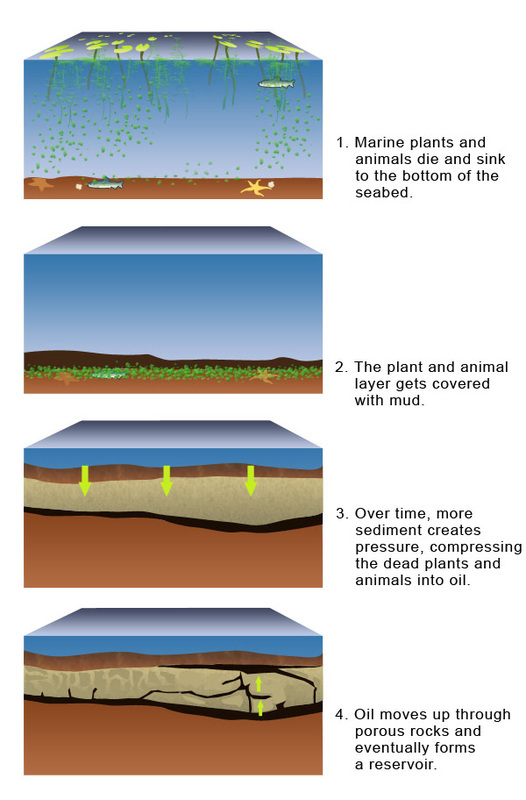 Extracting oil can have terrible environmental consequences. Using oil is very expensive compared to coal and gas as there are many demands for oil. How are governments supporting Oil Companies? In 1998,an estimated $94 billion will be spent worldwide on oil and gas exploration and production, an increase of 11% from $85 billion in 1997. This represents the second highest growth in spending in the last decade and the third consecutive year of double digit growth. It also undermines efforts by the 160 national governments which agreed to the legally binding Kyoto protocol,in Japan last December, to cut greenhouse gases. Taxpayers, particularly in the United States and Europe, are supporting this expansion of oil exploration by some of the world’s richest companies such as Shell,Exxon,BP, ARCO and Chevron.The latest analysis shows that in 1995, the US government, by the most conservative estimate, provided $5.2 billion in tax breaks and financial assistance to the oil sector. Explore the costs of Oil extraction and consumption using the following links. you can summarise the impacts as a mind map to consolidate what you have learnt. •What percentage of the worlds energy comes from Oil. •Why is Oil called a fossil fuel? •Identify two advantages of Oil as a fuel. •Identify two disadvantages of Oil as a Fuel. •Identify one reason oil is a threat to whales. •Identify an area of rainforest which is under threat from oil exploration. •Use 4 bullet points to explain how Oil is formed. •Identify an area where demand for oil has been stable for the past 20 years. •Identify an area where demand for Oil has risen significantly.